Life flits by hour after hour and day after day. And soon weeks turn into months and months to years. Soon, decades become the sum of your lifetime. One rejoices. another mourns. One live begins anew, while another gives up when facing pain. Amid the uncertainties of life, parents can teach their children how to maintain healthy relationships, live by faith, choose wisely and to accept the consequences of their choices as well as their feelings. 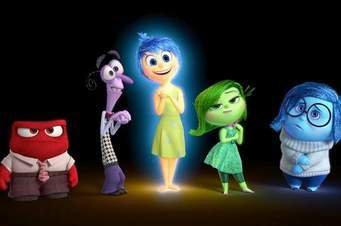 Characters from Disney’s “Inside Out” movie. Sadness, played by Phyllis Smith, represents the dark side of emotions. This movie is an opportunity to openly discuss emotions and difficulties with your child in the context of family support and faith in God. A great starting point for discussing life’s less-than-joyful emotions is after watching a movie, such as Disney’s “Inside Out.” Children can truly relate to the characters, feelings, impact of other people’s decisions (including mom’s or dad’s) and situations beyond their control. But talking about life and pain is only a starting point. Your children observe and imitate much more than they take to heart your words. Pain is sometimes expected, but most is quite unexpected. Just when you think you have life figured out… When you believe you are in control, all your planning, scheming and hard work seems to be crashing. It’s amazing how fast it all unravels and changes. You are caught off-guard, entirely surprised and have no idea what to do next. That’s the moment that your faith becomes a living, breathing lesson for your children. People… events… choices… results. Helping your children respond to external causes of pain with faith and self control is the most important skill you can teach. But how do we do this? We want to believe that all or at least most people, especially other Christians, are kind, loving, gracious, reliable, good and possibly even godly. But people are not always that way, and are in fact sinful… selfish… disappointing… and troubled. You realize early in life that this is truth of a deep, simple nature. Not only is it true “generally.” It is quite true in the specific situations of life as well. The predictable fact is that people will sin, act selfishly and disappoint you. Interactions and relationships with people, our children and family members will bring great joy ad great pain. Indeed, just like you, they are imperfect, feel hurt and say things they shouldn’t. When someone disappoints us, remember that you have also hurt others. Then choose to forgive and mend the relationship. When we hurt others, apologize and make it right no matter what the cost. When we were young, we thought life was predictable. We imagined planning our lives, vacations and special events because we have a need to control. We naively thought we could sit down with our Franklin Covey planner or smartphones to map our days. How did so many people become adults without realizing that events are not predictable? What led us to believe that we could control the outcome and impact of events on our lives? 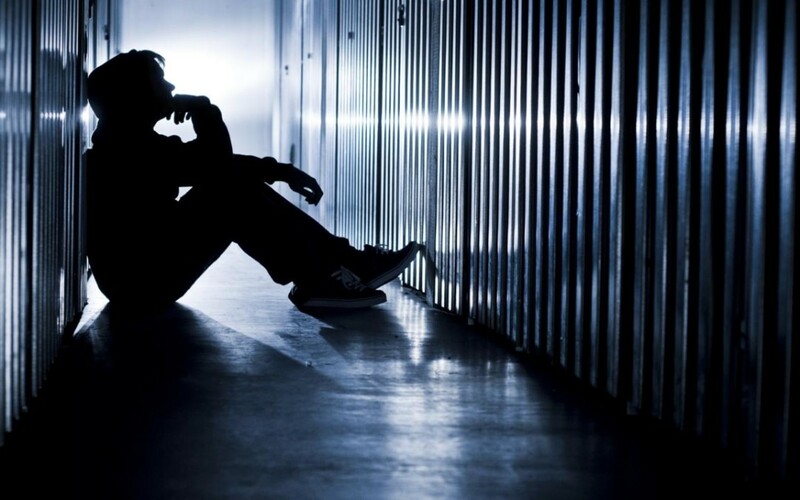 Many times, events cause us more pain than we expect. I am not in control of anything. Or I control very little. I control no people. This is a lesson most of us don’t learn until later in life, but if you can give up the need to control other people and circumstances that are not in your control, you will teach your children a valuable lesson. We know this is true but we have a harder time living by it. Giving up control is a daily exercise in awareness. When your actions toward your children, spouse and others shift from being based on the relationship to focusing on what they “should” do, criticism and judgment you have shifted to the “control” perspective. My response to difficult events is what truly matters. I am not a victim. As a Christian it seems to make sense that you base our decisions on what you perceive to be God’s will or purpose. We know we should sift our choices through the grid of God’s Word, the Bible; we believe we should seek godly counsel and engage in prayer before making choices. We affirm that decisions should be made with an eternal perspective. However, my observations of myself, my faithful wife and of most American Christias is that most of us make most of our choices on the basis of our own analysis, what we see and experience in the here and now, rather than God’s Word, prayer or Godly counsel. That’s not wrong. God expects us to use our brains, to exercise human knowledge and information. However, most of us make the decision without that eternal perspective. The only illustration you need is our own life. Consider the games you play, the job you have, where you live, the person you married or even where you attend church. Did you make the decisions based on what you “wanted?” Did you consider how you could give back to God’s kingdom by choosing a church that helps you reach the lost — even if that makes you uncomfortable? An eternal perspective for marriage considers more than sexual attraction. An eternal perspective focuses on whether the potential spouse is motivated by spiritual matters or worldly matters. An eternal perspective on owning a home leaves extra income to invest in God’s kingdom, to tithe and to help the poor. Praying for what you want versus God’s wishes means that you are not at the center of your choices or even your prayers. Others are the center of your world. If we sought advice from other believers, read the Bible or prayed, it was only after we had already made up our mind. If we are honest, we realized that we were simply seeking permission to proceed as we desired. An eternal perspective removes “me” from the rewards of the decisions. An eternal perspective places our spouse, children, other believers, the lost and even our enemies before ourselves so that they, too, might believe. We, like Paul, would have peace in prison and suffering if we had this perspective. Finally, if things don’t go as expected, what do we do? We may make all the right choices, love God, work hard, honor our spouse, tithe and give to the poor. What if you do all of this ad more, and you get cancer or your child dies? When life doesn’t work out the way we planned, we end up with some very unexpected results, like Job, the ancient biblical man who lost it all though he lived an righteous life. For many, the blame game begins. Someone has to be responsible for this. Blood must flow and mud must be flung. Here’s the premise. And here’s the rub. Regardless of whether we do it God’s way or our way, the rain and sunshine falls on the just and the unjust. We all eventually learn that nobody is exempt from pain. Each of us, including our children, must learn to embrace pain and the complications that come from simply living in a fallen world. We share this planet with fallen creatures, the human race. We ourselves have sinful desires and make choices selfishly that impact others, that hurt others. This bring us back to our original premise. Our lives ricochet off each other. We are both the recipient and cause of pain. Our sins, acts of kindness and behaviors do not occur in a vacuum. Every decision we make impacts others, particularly the ones we see and love every day. And likewise the sins of others do not occur in a vacuum—they impact us. The combined impact of these four items form our unique experience: the people we interact with, the daily events, our own choices and those of the people with whom we relate and the consequences of our decisions. As a parent, one of the most useful lessons to teach your children is that they are not in control of anything except their their ow decisions. Our outlook on life might be more positive if we chose to prepare for what we will inevitably face instead of denying its existence and pretending that we are perfect in the hopes that by doing so, we will avoid pain, suffering and death. Job lived an upright life, but still experienced profound pain and suffering in this life. What if we were to embrace pain, own our wounds and live life with the certainty of unexpected results? What if we embrace the reality of life and choose to learn from the trials, tribulations and pain of life. What if we helped our children to embrace and learn from pain? Who knows? You just might be a little bit happier, find peace and experience the joy of the journey.